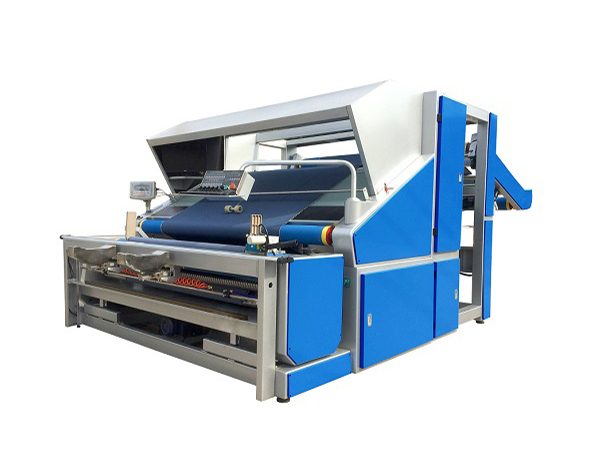 ST-KFIM Knitted Fabric Inspection Machine is suitable for a wide range of fabrics, from tension-sensitive elastomeric and lycra fabrics to stable woven,technical and upholstery materials; especially designed for A-frame entry with Conveyor Belt System. AUTOMATED CAMERA INSPECTION SYSTEM COULD BE INSTALLED ON FABRIC INSPECTION MACHINES. 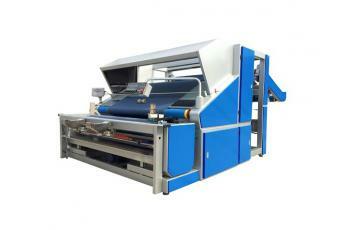 NEWLY DEVELOPED AUTOMATIC FABRIC INSPECTION (CAMERA), LABELING, CUTTING, TAPING AND PACKING MACHINE IS AVAILABLE. Variable working width is possible and can be tailor-made to your requirement of processing needs. 1) Auto Tensionless Checking: With unique mechanical and electrical device combination for making fabric feeding, delivery and re-winding synchronous. 2) Full Width Fabric Inspection: With 60 degree fixed angle inspection screen. 3) Curled Edges Controlling: With scroll roller system and de-curling system for perfect generation. 4) Accurate Length Counting: Counting error0.1m/km. 6) Consistent Roll Output: Roll hardness adjustable. 7) Available for different Fabric Input and Output Presentation, especially designed for A- frame to Roll Checking, Roll to Roll, ect. Synchronize with production operation.